Through an unique initiative called “The 21 Day Experience”, the Family Christian and iDisciple staffs are taking a spiritual journey together. 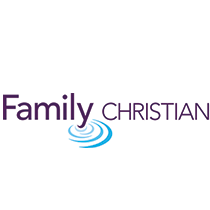 Through a unique initiative called “The 21 Day Experience”, both the staffs of Family Christian and iDisciple are taking a spiritual journey together. Everything offered in this channel has the purpose of drawing you closer to God and growing you stronger in your faith. As a subscriber to this channel, you will receive a great mixture of content -- from a wide range of the top Christian authors and speakers in the world -- delivered directly to your Daily Feed everyday, starting on November 2nd. A practical application question was written to provide home office staff, store partners and managers, and iDisciple employees with the opportunity to intentionally discuss what you learned.